WebP is an image format developed by Google that allows you to save an image in a lossless format. 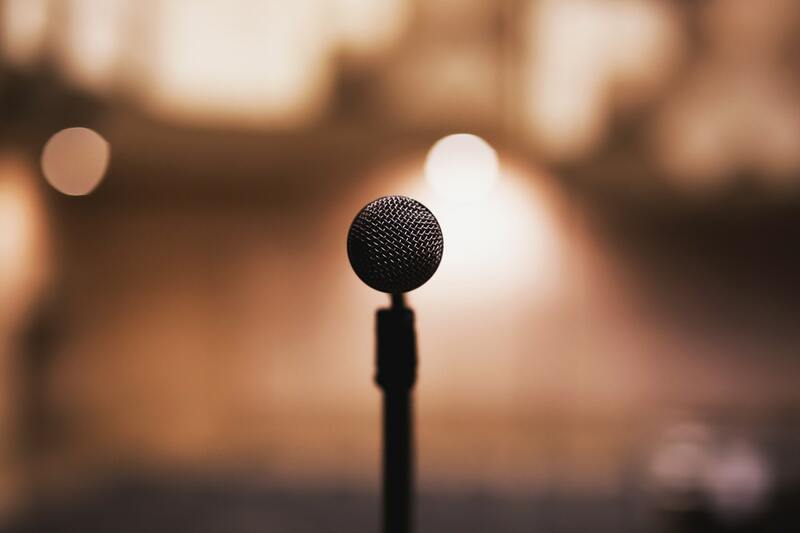 Google has come to claim that an image in WebP format can be up to 35% smaller than its equivalent image in the most popular formats such as JPG or PNG. In this way, the giant search engine believes that this format of images is more efficient and helps that in a decrease of load speed and therefore of navigation, increase considerably. More so, given a large number of images that are displayed on most modern web pages. 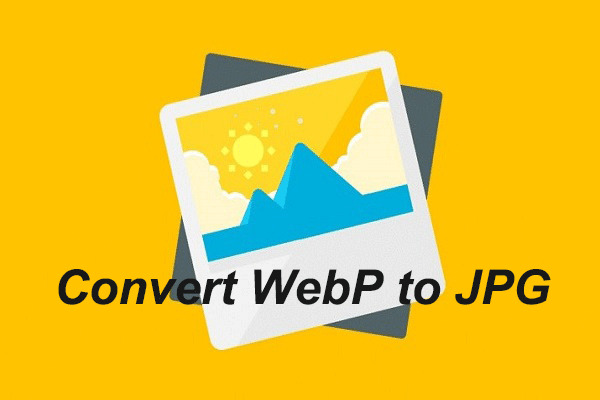 However, some image editors and even web browsers, still do not support this form of WebP image, hence we will show how to convert WebP images to JPG or PNG with a fairly simple trick. Specifically, let us see how to convert WebP images to JPG or PNG from the Google Chrome browser or Opera, without any other software facilities. Here we will discuss the step by step process to convert any WebP images to JPG or PNG without using any software or online tools. To do this follow the steps as follows. Firstly open any of these two browsers, that is Google Chrome or Opera browser. Next, visit the site that has WebP images. Once you are there, give a right click and select the option Open image in a new tab. Once the image is displayed in a new tab, go to the end of the URL that is in the address bar and there you can see the URL ends with -rw characters. Now, remove those characters (“-rw”) and click enter to reload the image. Once you have reloaded the page, you can see that the image is loaded in an original format, you can check it by clicking on the image itself. Now, give a right click and select save as option, as you regularly do to save images to your computer. Like this, you can save WebP image as JPG or PNG to any location on your hard drive. Once you have converted the WebP image to JPG or PNG, you can open it in other browsers and edit it from any image editing tool, since those two formats are supported by all of the tools without any problem. I hope this article helps you to convert any of Google’s WebP images to JPG or PNG formats without using any software or online tools. If you are facing any issues while applying the above method, let us know in the below comment section. We will get back to you to solve all your queries as soon as possible. Would you like to add any other tricks to this article? Then write them in the comment box and we will review it and include in this article in the next update. Which method do you use to convert WebP images to JPG or PNG formats? PDF is the most popularly used format for sending and receiving files on the internet. To prevent an unauthorized person from reusing or misusing the PDF documents, people, especially these PDF files creators, are likely to set passwords to protect them. However, due to bad memory or some other unpredictable reasons, they may lose PDF password and be rejected to get access to their PDF files. So, if you forgot PDF password, how can you retrieve forgotten PDF file password and enter the file again? Luckily, there is a way you can open password protected PDF file after you forgot the password. 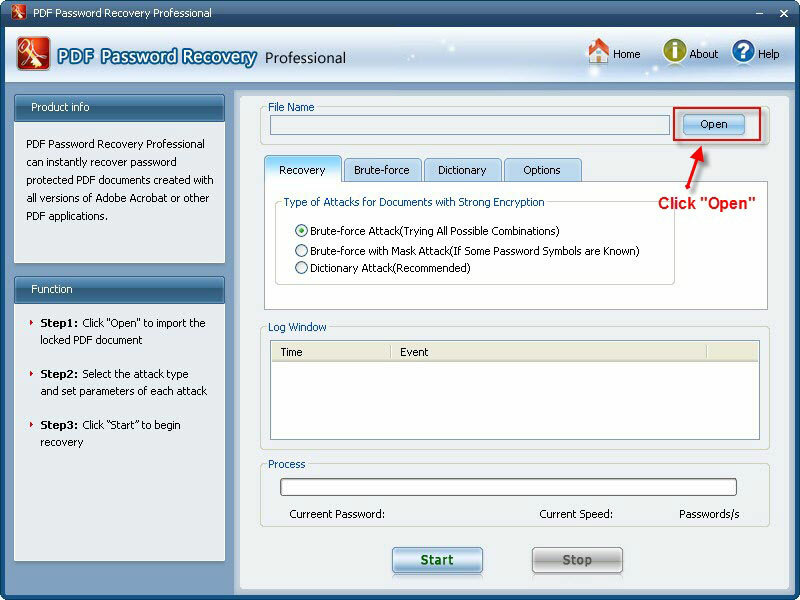 You can use PDF password recovery software programs, such as SmartKey PDF Password Recovery, Wondershare PDF Password Remover, etc. Step 1. Download and install the Dr.PDF program on your Windows or Mac computer. And launch it, you will see there are two options in it: recover open password from PDF and Remove owner password from PDF. Step 2. Now you need to import the password protected PDF file to the program, just click Add file button. Then choose an attack type and do some settings. Step 3. After settings, click the Start button to start searching PDF password. It will take a few minutes or hours based on your password complexity. Step 4. After the password is found, it will show on a pop-up Windows. Step 1. Log on to the official iseepassword website. Here, you will get both free and full versions. Click on the “Download Now” button at the centre of the page. When you click this button, it will download the program set up to your PC. Step 2. Open the program. Before processing, click on “Continue Demo”. On the main screen, Click the Add Files button on the top right corner to import your locked PDF. Step 3. Choose a location to save PDF file. Now you can choose any location on your PC to save unlocked PDF. Then you click on “Unlock PDF” option, it will unlock your selected PDF. Step 4. If PDF is locked by the user, it will ask for the password before unlocking the permissions. The demo version of iSeePassword PDF Password Recovery will add a watermark on all the files unlocked with it. However, you may remove watermark by upgrading it to full version. It is a useful PDF file password recovery tool which is designed to find forgotten PDF document password. Using a brute force technique, this PDF password recovery tool, which owns three password attack types, will uncover your PDF document password QUICKLY and EFFICIENTLY. Here is a detailed description on how to decrypt PDF file step by step. Open your web browser and go to ‘SmartKey’ official website. Download SmartKey PDF password recovery software and install it on your computer. Launch the program. In the main interface, click “Open” button to add PDF file into the PDF Password Recovery window. This program supports multilingual PDF files. There are three kinds of attack types for documents: brute-force attack, brute-force with mask attack and dictionary attack. Each of them has their own features. If you know part of the password, you can select brute-force with mask attack and click on “Options” to set the length and some tips of the password. This can speed up the password recovery process. Likewise, you can set parameters for each attack. Click “Start” button to begin the recovery. It will start the process of trying to find the PDF document password. Check the progress indicator to view the progress of the password attack. This could take several minutes. The specific time depends on the password length. The longer the password, the more time it will take. When SmartKey PDF Password Recovery finds the password, a screen will pop up with the password listed there. Copy and paste it to open your PDF file. Wondershare PDF Password Remover is a professional Password Recovery tool, with which you can crack/unlock protected PDF without a password. The process is quite simple with this tool to remove password from protected PDF. Launch Wondershare PDF Password Remover. You can see there is an option called “Add Files” in the top left the corner. Click on it and choose the password protected PDF file you want to unlock. You can also add multiple files based on your needs, as it supports batch conversion. As you can see, there are 2 options in the “Output Folder” at the bottom left – “Save target file(s) in source folder” and “Customize”. By selecting “Save target file(s) in source folder”, the files will be saved in the default folder of the program. By selecting “Customize”, you can choose the output folder you prefer. Then click on “Start”. In just a few seconds, you’ll successfully remove PDF protections, where you can open password protected PDF files without any hassle. After you remove password from protected PDF, you can open it in any PDF tool, which you can edit, copy or paste, based on your needs. How to Crack password-protected PDF Files? A secure PDF file enforces copyright laws with features to prevent reproduction or distribution by other users. There are basically two types of PDF protection – One is password-based encryption and the other user accessibility restriction. A) User accessibility restriction is that the original PDF creator can either restrict opening the PDF file itself or he can restrict others from modifying, printing or copying text and graphics from the PDF file. Simply put, “user” password protection and “owner” password protection. First one prevents opening a document without knowing the password. The second protects information in a document from being printed, copied or edited. (i) When you can view the pdf but there are Copying or Printing Restrictions Removing this type of “protection” is easiest because the security entirely depends on the pdf reader to honour those limitations. You can always use custom pdf readers who do not honour the restrictions. There is also a number of tools available online which can remove such restrictions on the file. If you need to edit or copy text from a PDF file, but don’t have access from the owner, follow these steps to unlock the PDF file. Open the document in Acrobat Reader and capture the PDF page as an image using any free screen capture software. If you want to copy just a portion of text from some PDF page, use a screen capture tool with OCR features. Alternatively, you can use commercial solutions like Advanced PDF Password Recovery or PDF Password Remover. These utilities may not recover the password for you – they’ll just remove the restrictions from the password protected file. (ii) When there are Document Opening Restrictions. This is a very tricky case and there’s no straight-forward solution to read PDF documents that are password-protected at the Open level. Advanced PDF Password Recovery Professional edition from ElcomSoft is a recommended option. When (if) the password is found, the program shows it, as well as the number of passwords which have been tested, and the program speed. The software will use methods like Brute Force, Key Search and Dictionary Attack to guess the password. They will try to use all possible character combinations as the password and so the process might take hours or even days and would really depend on your computer’s processing power. B) Password-based encryption, however, is not easy to remove. The contents of the file are encrypted and you would need the correct password to decrypt the contents. There is no bypassing. There are weaknesses in the pdf password protection specification. The Older version of pdf used a weak 40/128 bit RC4 algorithm. Newer versions use the stronger Rijndael (AES actually) with larger key lengths. Hence cracking pdf passwords by brute force, dictionary attacks may be feasible for old versions of pdf, but definitely not for the newer versions. Unless you have some information about the password, such as the number of characters, starting/ending etc you are out of luck. If your mobile has network coverage problems, do not be scared. You do not have to stay incommunicado while travelling or lose sight of your professional life. There are always solutions to the mobile network connecting problems. 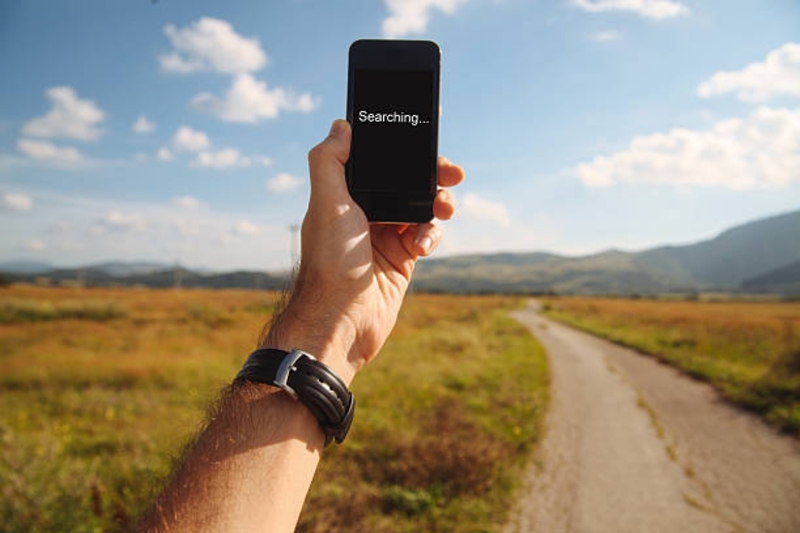 The network coverage is now more important than ever since in addition to calls it is essential to be able to access the Internet permanently, even when travelling. In fact, there is already an important part of the teleworking workforce, which is why solutions such as routers with Internet 4G have proliferated. However, mobile coverage problems are still common in some remote areas and even in large cities. Sometimes the cut in the signal is due to an easily remedied error. We explain what you can do about it. Here are the possible solutions to this annoying problem. It may seem obvious, but sometimes the coverage problems in the mobile are solved by restarting it. It may just be stuck in a network that does not work or connected to an antenna whose performance is not optimal. Try setting the airplane mode for a few seconds and then deactivating it. If this does not work, turn the phone off and on so that the processor modem reboots. The APN or Access Point is what links your SIM and your mobile to the networks of a certain company. It is not always essential to do it but it may be that way if things do not work as they should. It’s about filling in a few seconds in a form. The instructions must be provided by your operator. Just look on the Internet “Configure APN” followed by the name of your telephone company. This should solve the coverage problems with respect to the mobile network. Although activating data roaming your smartphone will warn you of possible additional costs, this does not have to be the case. Now that roaming has been eliminated across the EU, it is advisable to have roaming enabled. This option allows your mobile to connect to antennas of companies outside your SIM. Maybe there are no antennas near your operator and therefore you have no coverage. This problem is not usual, but sometimes it happens. All phones have an antenna, although they are not as visible as before. That means you can cover it and that’s why you have connection problems. Sometimes it is the on one that covers themselves that plug these antennas, so try to take it off and see how the signal intensity evolves. Lastly, if none of the above has solved your coverage problems in the mobile, then you have to call your operator. They can tell you what the problem is, especially if it is due to a specific problem in your coverage map. Some companies can even remotely modify your network settings so you can connect to the Internet. I hope this article will help you to solve all your network coverage problems. If you have any other queries let us know in the below comment box. We will get back to you as soon as possible to solve all your queries.